Peru is the first country in South America to develop a Gender and Climate Change Action Plan (GCCAP), carried out under an international initiative of the International Union for the Conservation of Nature (IUCN). 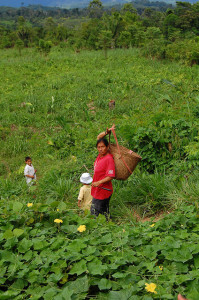 The Latin American regional office of the World Agroforestry Centre (ICRAF-LA) has been involved in the national effort, which is coordinated by Peru’s Ministry of Environment and Ministry of the Woman and Vulnerable People, through both staff participation and contribution of information from research. Sarah-Lan Mathez-Stiefel, an ethnobiologist at ICRAF-LA, helped facilitate the working group on forests, one of the plan’s eight priority areas. The draft Gender and Climate Change Action Plan includes now, as one of its main objectives, the production of knowledge on the links between gender, climate change, and forests/trees in the different ecological contexts of Peru i.e. humid Amazon, mountain ecosystems, semi-arid coast. Key questions are: How do women and men use and manage forests and trees? Which local knowledge and practices for adaptation to climate change exist already? And how can successful initiatives be expanded more systematically? Trent Blare, a social scientist and value chain specialist at ICRAF, worked with the regional government of Cusco on developing a plan for civil society and government actors to coordinate efforts, to comment on needed changes and to support the action plan in Cusco. From this collaboration stems promotion of sustainable production systems and local food systems, which complements efforts in both the Forest and Food Security priority areas of the overall action plan. The GCCAP plans are viewed as an important strategy for sustainable development around the globe and for tackling the challenges of climate change, which is expected to have serious impacts on the livelihoods of poor women in developing countries. In July 2016, a new research project in Uganda aims to find out more about men and women in the informal timber sector. 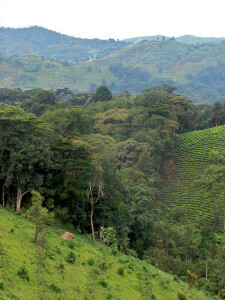 Uganda has identified forestry as one of its priority growth sectors, but weak law enforcement capacity and inappropriate legal frameworks that forbid chainsaw milling have so far rather promoted the development of a large informal timber economy. This has undermined regulatory oversight and has limited the capacity of the state to adequately capture fiscal revenues and the developmental potential of the forestry sector. In recent years, the need to better regulate timber production and trade practices is increasingly being acknowledged in Uganda and by other member states of the East African Community. Constraints in capacity and resources, pervasive corruption, convoluted licensing procedures, and weak knowledge about customary practices create structural barriers to formalizing such initiatives. This calls for a more nuanced debate on appropriate timber resource management regimes. Targeted interventions are needed that encourage and enable formalization of small-scale production activities. This is where the new project comes in: Many nodes along the timber value chains – such as harvesting, processing and transport – are often assumed to be male-dominated, especially because it is physically hard work. To date, little, if any qualitative and quantitative data exists on the participation and roles of women in timber value chains, particularly in sub-Saharan Africa. Yet unravelling the social, economic and political dimensions of the governance and impacts of informal timber value chains is of crucial importance for providing policy makers with options for improving the modus operandi of these activities in an equal, gender-responsive and sustainable manner. document ways in which marginalized groups negotiate and maneuver their ways around barriers. thoroughly analyze the quantitative and qualitative data and further integrated it into the overall results and recommendations, not only to mitigate adverse impacts, but also to suggest policy options for actively promoting a more gender-inclusive value chain. This data will in itself be a valuable contribution to the literature on timber value chains, which currently is very thin on women’s participation and benefits. The Sustainable Amazonian Landscapes project seeks to generate information on ecosystem services for the design of viable alternatives for land use and management to reduce pressure on forests and feed into a strategy for climate change adaptation and mitigation. The project integrates a gender perspective, in order to understand how men and women use ecosystem services and which are their roles in decision making. Stakeholders like local rural communities, national and regional environmental authorities, and international and national research institutions in Yurimaguas, Peru, and Caquetá, Colombia, are supported in designing productive alternatives for land use and management. These alternatives will be compared to different regional development options, and their implications for national climate change priorities will be evaluated. By spring 2016, participatory rural appraisal activities have been carried out in the sites in Colombia and Peru sites, and household survey data collection was in progress in Colombia. Household surveys were to start in Peru in June 2016. CIAT leads project implementation, and partners include the Potsdam Institute for Climate Impact Research (PIK), the Sinchi Amazonic Institute of Scientific Research (SINCHI), the Center for Research on Sustainable Agricultural and Livestock Production Systems (CIPAV), the Research Institute of the Peruvian Amazon (IIAP), the University of the Amazon in Colombia (UNIAMAZ), and the Molina Agrarian National University of Peru (UNALM). Over the past decade or so, value chain development (VCD) involving smallholders has become a mainstream approach to rural poverty reduction. Despite multi-million dollar investments in value chain development by donors, governments and private sector, fairly little is known to what extent such initiatives effectively achieve poverty reduction. This is partially due to the fact that appropriate methodologies and tools for assessing its impacts on poverty are not readily available. 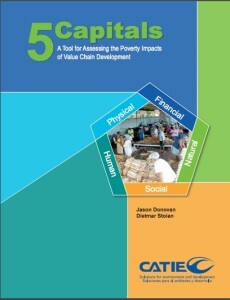 Researchers from the World Agroforestry Centre (ICRAF), Bioversity International, CATIE and multiple partners around the globe addressed this gap by developing 5Capitals, a learning tool that uses an asset-based approach for assessing the poverty impacts of value chain development at the level of both smallholder households and the enterprises that link them with processors and buyers downstream the value chain. In the original version of the methodology gender has been considered in a generic way, but gender-differentiated access to and control over resources is now being thoroughly addressed in an updated version. Towards this end, Bioversity International, in close collaboration with colleagues from ICRAF, is partnering with research and development organizations in India, Guatemala and Peru to develop a gender-responsive version of the methodology (5Capitals-G) to shed light on gender-differentiated access to, decision-making on, and ownership of critical livelihood and business assets (human, social, natural, physical and financial capital). Over the next few months, field teams are set to pilot the new tool in two FTA projects: a community forestry project primarily focused on mahogany (Swietania macrophylla) in Guatemala and Peru and another focused on fruit tree species (Garcinia indica (Indian gamboge), Mangifera indica (mango), and Garcinia gummi-gutta (Malabar gamboge) in Karnataka, India­. A preparatory training* on the tool from 20-24 April, brought together Bioversity International with the College of Forestry (Karnataka), Action for Social Advancement (ASA, Madhya Pradesh), and the M.S. Swaminathan Research Foundation (MSSRF, Tamil Nadu). 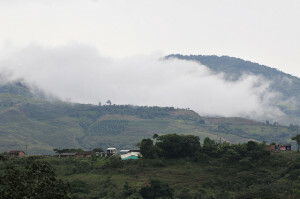 In 2014/2015, Bioversity International and local partners CONAP and ACOFOP have studied the impact of community concessions on socio-economic development at household level and business viability of community-based forest enterprises in three concessions in the Peten region of Guatemala, by using the original version of 5Capitals. It will now be interesting to see which additional insight the application of 5Capitals-G will generate when tested in three further concessions. In addition, a collaborative arrangement has been agreed with the Rainforest Alliance to expand testing of 5Capitals-G to another three concessions, so as to get a full overview of the impact across the currently nine community concessions. Finally, 5Capitals-G will be tested by ICRAF and local partners in the cocoa value chain in Peru. Findings from tool testing and the validated version of 5Capitals-G are expected by the end of 2016. *This training was implemented as part of the Innovations in Ecosystem Management and Conservation (IEMaC) project with support from the CGIAR Research Program on Policies, Institutions and Markets (PIM), and in collaboration with an IFAD and EU funded project ‘Linking agrobiodiversity value chains, climate adaptation and nutrition: Empowering the poor to manage risk’ executed by Bioversity International in India. The IEMaC project is funded by the InFoRM (Innovations in Forest Resource Management) program of USAID which aims to reduce forest degradation in India, with co-funding from the CGIAR Research Program on Forests, Trees and Agroforestry (FTA).